This March I went to Lancashire for a joyous and peaceful anti-fracking protest at Preston New Road. While I was there I spent the night in a freezing barn with some wonderful people and was driven around the county by a chap called Richard, who was friendly, generous and welcoming. 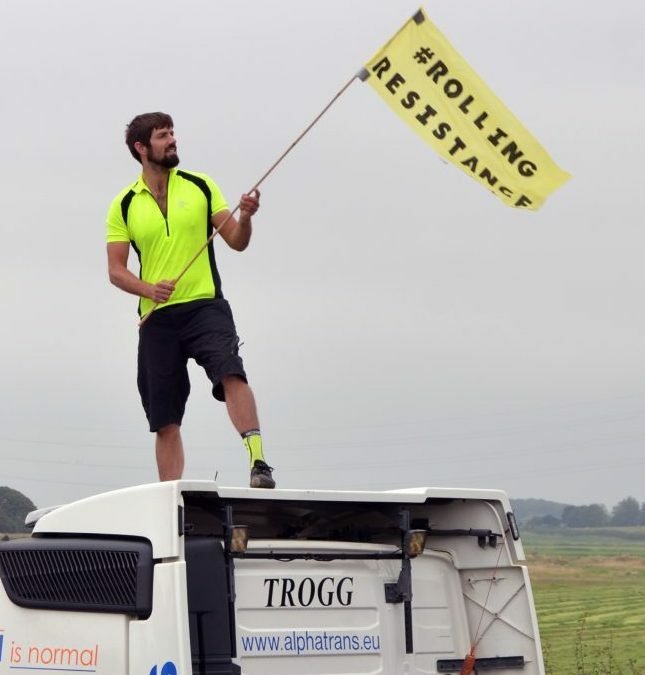 Richard is now in prison alongside two other activists for a four-day protest at the site last summer where they jumped on top of lorries carrying fracking equipment. I was there; it was non-violent, caused no damage and traffic was still able to pass on the road. Nobody died. Nobody got hurt. They have received prison sentences of 15 and 16 months under the archaic charge of public nuisance, in complete disproportion to the impact of their actions and making them the first environmental campaigners to be sent to jail for 86 years. They did what they did to try to curtail the climate chaos that is already destroying millions of lives around the world. The people of Lancashire have successfully resisted fracking for the last seven years against a government that has used every dirty trick in the book to force a destructive wasteful industry on them. This clampdown on civil liberties is a desperate and highly political act from an establishment that has exhausted all other means. This year, as we celebrate 100 years of the first women voting, we have been presented with a sanitised and selective version of history and the sacrifices people made to gain the most fundamental rights. Our leaders glorify the suffragettes that were imprisoned, force-fed, assaulted and vilified at the time, while simultaneously imposing draconian measures on people daring to speak out against injustice in the present day. Anybody that wants to play an active role in society should find these sentences chilling. Our country is built on political protest; virtually everything we are free to do today is a result of ordinary people demanding it at great personal cost. Freedom of speech goes beyond standing on the streets in a pre-authorised enclosure. These activists are not criminals; they put their bodies on the line to assert everybody’s right to live a good life. Climate change is killing people. In 100 years the world will look back at these prisoners as heroes. We must stand in solidarity with them and continue the struggle. You can support the Frack Free Four here.